Outside of the fact that he makes great movies, my favorite thing about Bong Joon-ho is that you never know to expect from one project to the next. The South Korean director has turned out the greatest modern creature feature with The Host, which is still so much more than just that. His resume also includes murder mysteries (Mother, Memories of Murder), post-apocalyptic sci-fi set entirely on a moving train (Snowpiercer), and even black comedy (Barking Dogs Never Bite). Bong’s latest, Okja, fits into his larger body of work by being both utterly fantastic and unlike anything he’s done before, despite the presence of a fantastic beast. Like it or not, Okja may well be remembered as the poster-child for the old guard and the new clashing over how we consume film. With only a limited theatrical run scheduled, Netflix plans to release the movie on its streaming service the same day. (Side note: if possible, see this in theaters; it’s worth it, I promise.) 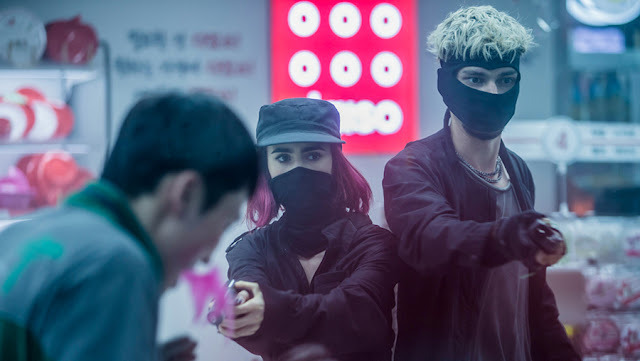 Earlier this year, when it premiered at Cannes, it caused controversy at the fest because it won’t get a French theatrical run, and some Korean cinemas refuse to show the movie unless Netflix delays the streaming release. 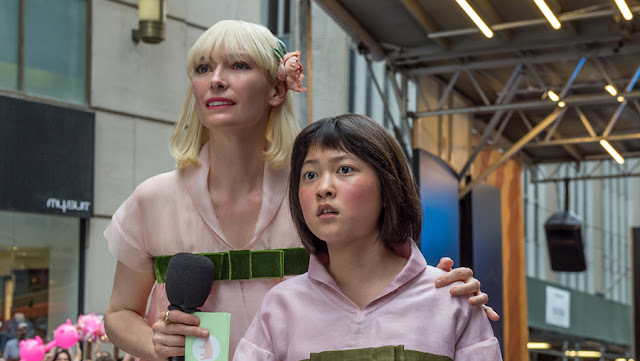 Okja finds itself at the center of a conflict we haven’t heard the last of—not by a long shot—but hopefully all that attention doesn’t distract the actual film. An E.T-style riff on the friendship between a child and a weird creature, it’s sweet and adventurous, thrilling and heartfelt, and a sharp political satire about the shallowness of consumer culture, corporate eco promises, and hidden agendas. When the nefarious Mirando corporation—recently the recipient of a corporate image makeover—kidnaps her best friend, a young girl named Mija (Ahn Seo-hyun) risks everything to rescue her. Here’s the kicker: Mija’s best friend is Okja, a massive genetically modified “super pig”—think a hippo crossed with Eeyore from Winnie the Pooh. Mija’s quest takes her from the Korean countryside to the bright lights of Seoul to the streets of New York City to factory farm slaughterhouses and covert genetics labs. She encounters members of the Animal Liberation Front (I never in a million years thought I’d ever see a mainstream movie that portrays the ALF as good guys) and generally acts way more gallant than most tweens. 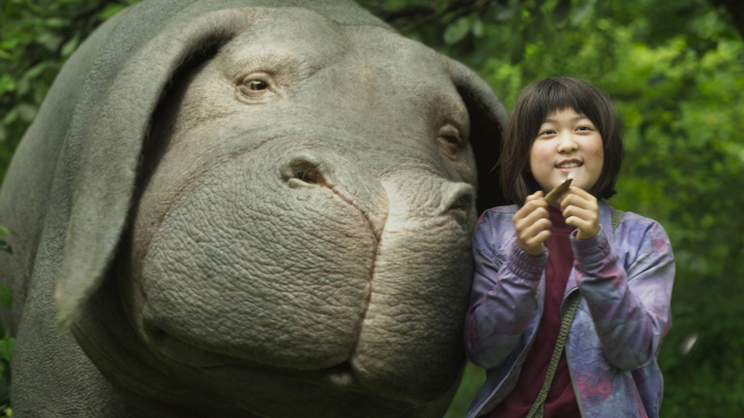 Tonally all over the map—Okja leaps back and forth from warm, wondrous, and goofy to bleak, grim, and heart-rending—it plays out like an Alice in Wonderland-type fable. Mija takes the role of heroic innocent. In the course of her quest she encounters twin witches, the Mirando sisters Lucy and Nancy (both played by Tilda Swinton), one overtly evil while the other presents a candy-coated smile to the outside world. Lucy even has a henchman, played by Giancarlo Esposito. Mija enlists the help of the earnest, but possibly misguided supporters in the ALF (Paul Dano, Lily Collins, Steven Yeun, Devon Bostick, and Daniel Henshall). In a packed house like this, it would be easy for a young, relative newcomer to get lost in the shuffle. But it’s a testament to 13-year-old Ahn Seo-hyun that Mija not only holds her own, but commands every scene. Not your typical Hollywood movie child, she doesn’t care what any of the adults have to say—in fact, all any of them do throughout is lie to her—or appeasing outsiders. All she wants is to save her friend and everyone else, regardless of alignment and their own interests, can screw. 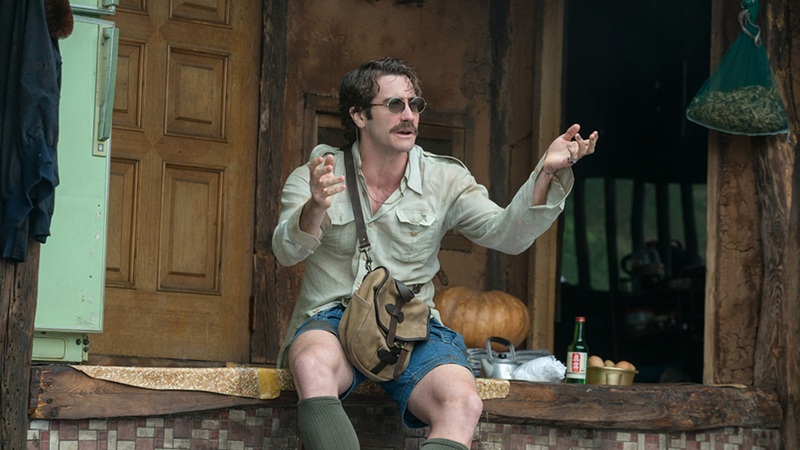 While Okja’s character design is intentionally cartoonish, the creature carries a concrete weight—Gyllenhaal plays a human cartoon while the actual cartoon becomes more human than most of the people. The whole film hangs on selling that this creature, while outlandish, is very real, and both in motion and perfectly still, she’s majestic. You practically feel the texture of her skin as she snuggles Mija; the vibrations of her footsteps as she romps through the forest, or an underground mall for that matter, rumble in your chest; and when you look into her eyes, you look into something much deeper. Like he did with his earlier, though drastically different creature feature, Bong seamlessly integrates the special effects and uses them to enhance and escalate the drama.